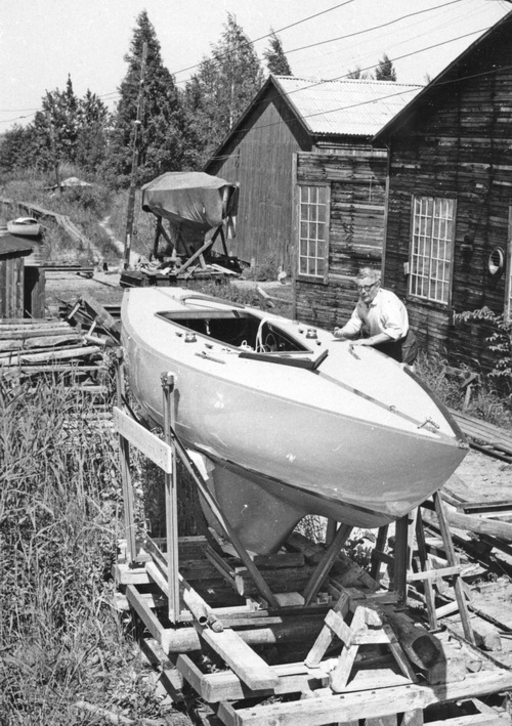 Franz Schneider reports: "...I sailed in the 1963 5.5 Nationals and Worlds at Seawanhaka on "Gamble", a 5.5 that Sheronas owned. Pete Masterson (one of Ernie Fay’s usual crew) skippered in one series, and Andy Schoettle (a guy who had done a lot of 5.5 racing) skippered in the other series. "Gamble" was a former Ecuadorian 5.5 designed by Arvin Laurin (who also designed Complex for Britt’s father when he won the gold medal in 1952). Contact has been made to St. Georges School, Newport, for historic information. Anyone having pictures from the time, please add them. Contact has been made to the Club and the family of the first owner, in order to find out about the whereabouts of the boat; so far, the search goes on.